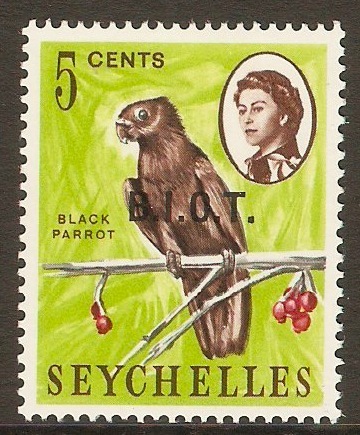 Mounted mint 1968 5c B.I.O.T. Overprint series. SG1. Unmounted mint 1968 10c B.I.O.T. Overprint. SG2. Unmounted mint 1968 15c B.I.O.T. Overprint. SG3. 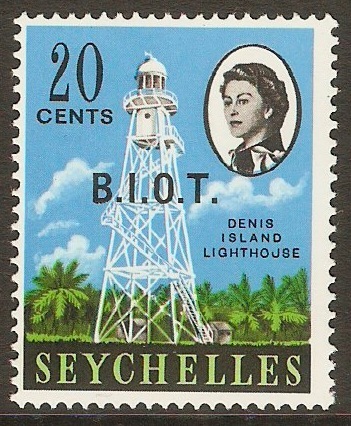 Unmounted mint 1968 20c B.I.O.T. Overprint. SG4. 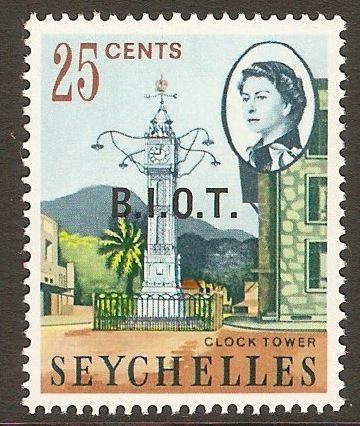 Mounted mint 1968 25c B.I.O.T. Overprint. SG5. 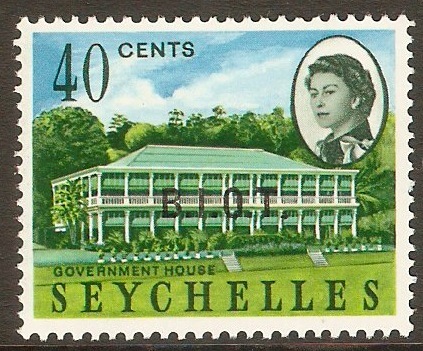 Mounted mint 1968 40c B.I.O.T. Overprint. SG6. 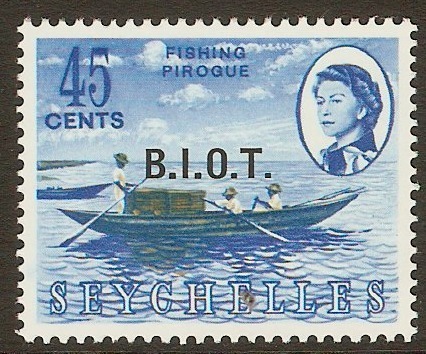 Mounted mint 1968 45c B.I.O.T. Overprint. SG7. 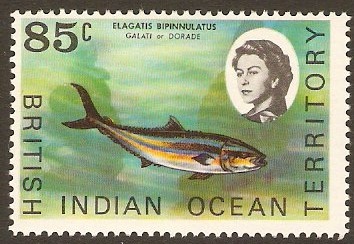 British Indian Ocean Territory 1968 50c B.I.O.T. Overprint. SG8. 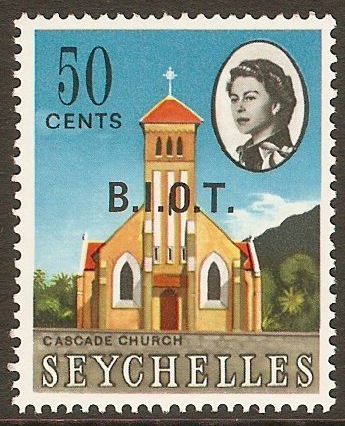 Mounted mint 1968 50c B.I.O.T. Overprint. SG8. 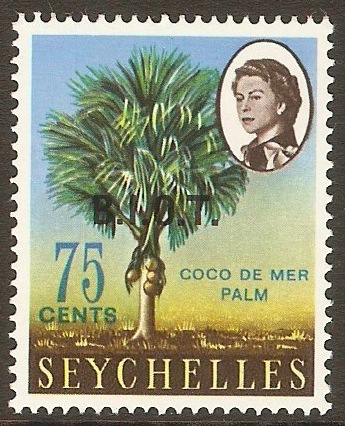 British Indian Ocean Territory 1968 75c B.I.O.T. Overprint. SG9. 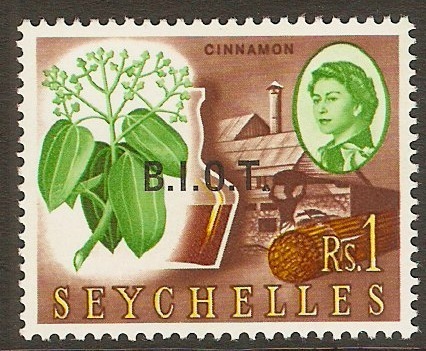 Mounted mint 1968 75c B.I.O.T. Overprint. SG9. 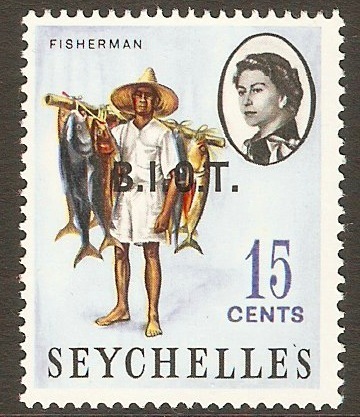 British Indian Ocean Territory 1968 1r B.I.O.T. Overprint. SG10. 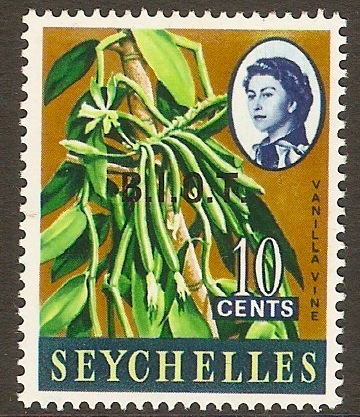 Mounted mint 1968 1r B.I.O.T. Overprint. SG10.